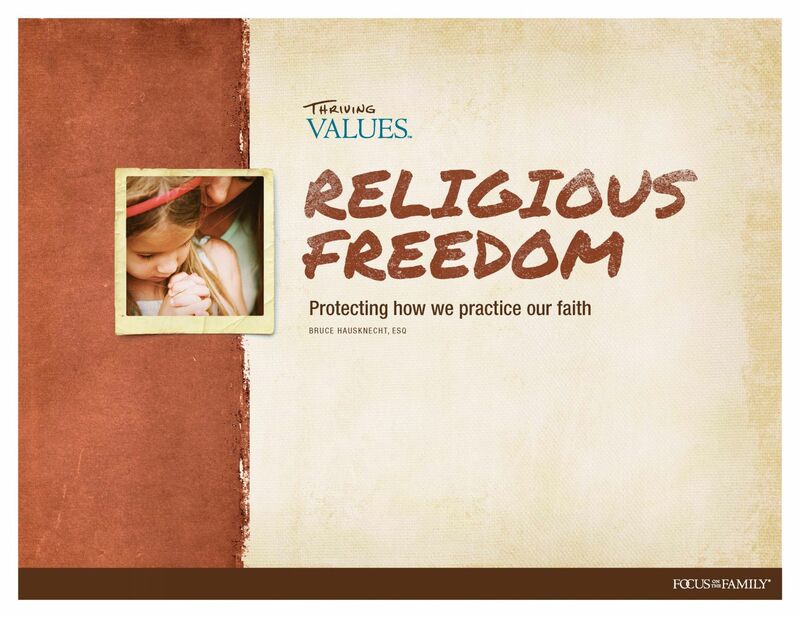 Thank you for your interest in Focus on the Family’s Thriving Values™ resource on Religious Freedom! You’ve got questions. And you need answers. You want to take some time off from work to attend a religious function, but your employer refuses your request? Your church or religious organization is denied a government benefit or participation in a program that other organizations in the community are entitled to, simply because of your religious identity? Your child’s school informs parents that no religious music will be allowed in the school’s music education curriculum? You're fired from your job after your employer learns you once publicly voiced support for one-man, one-woman marriage? The government orders you, as a business owner, to violate your deepest beliefs concerning the sanctity of life by requiring you to provide possible abortion-causing drugs in your employee health plan? At such a crucial time, it’s important for Christians to understand our religious freedoms, how they protect us — and how we can protect them. This complimentary resource will educate you in the basics of religious freedom in five major areas of society: churches and religious organizations; the military; public schools; the workplace; and the public square. Please complete the following required fields and press the "submit" button. You will immediately receive a confirmation email with the link to your free resource. We are so encouraged by your commitment to engage the culture! If you have any questions, please call Focus on the Family at (800) A-FAMILY (232-6459) or email us.